A pretty solid, slightly muted Swedish Fish Flavor with a full mouthfeel. Used in 180 recipes at an average of 5.347%. Setup: Recoil w/ flavor barrel, Dual 15 wrap 26g 3mm Nifethal 70 coils @.14 ohms. 60w power, 450F temp limit. Full Cotton Wicks. Testing: CAP SilverLine 27 Fishes, 2 and 5%, 60/40 VG/PG, Steeped 5 days. Flavor Description: A pretty solid, slightly muted Swedish Fish Flavor with a full mouthfeel. The flavor here is definitely in the ballpark of swedish fish. Tastes like an aggressively "red" candy. Capella themselves calls out red licorice and raspberry, and I could definitely see either of those. This does seem to have a bit more of a generic red licorice vibe than straight swedish fish. I also pick up something that tastes a lot like an artificial bright red cherry as an accent. Maybe missing just a light bit of tartness and deepness for an actual swedish fish, but it's definitely recognizable. This actually has a pretty great mouthfeel. Very dense and chewy, with some of that sticky waxiness from actual swedish fish. Doesn't feel like a straight ahead gummy candy, whatever they're doing here mimics that half way between a jelly candy and gummy bear thing that actual swedish fish have. Isn't a big chemical mess like most other candy texturizers. I do feel like this flavor could stand to be a bit more vibrant. It feels a bit muted overall, like the flavor feels just a half-step in the background and is a bit hazy through that texture. Might be fixable with some sweetener, but solo it feels like the flavor is struggling a bit against the texture here. It tastes like a swedish fish, but it doesn't quite have that mouthwatering vibrancy of actual candy. Just cranking up the percentage doesn't seem to help, as it just starts to push some off-notes to the front. The only other explicit swedish fish flavor I've tried is TPA's Swedish Gummy, and this seems to be a pretty big step up. This is noticeably less harsh and floral than the TPA Version, and the mouthfeel is quite a bit more like actual swedish fish. I feel like TPA's version does the deeper part of the flavor a bit better, but 27 fishes is a whole lot more palatable. Off-flavors: While this definitely tastes "red" it probably has a bit too much of a cherry or red licorice vibe to really hit swedish fish outright, but it's fairly close. The cherryish part of this gets a bit plasticy and chemical at higher percentages. Throat Hit: Light to moderate. Not as punchy as TPA Swedish Gummy. Percentage testing: I'm not getting too much out of this at 2%. Some light gummyish mouthfeel but not a lot of actual flavor. Pretty mellow down here, although the mouthfeel might be useful. At 5% this is quite a bit more full. I'm getting a relatively clear candy flavor out of this but it feels a little bit muted and in the background. There's some cherry off-notes creeping in around the edges but it isn't particulary harsh or plastic. Mouthfeel is pretty solid. Trying this a bit higher at 8% on a day steep, the flavor still feels a bit flat, but it is fuller. I'm getting more aggressive chemical off-notes but it's not awful for a bright candy flavor. Mouthfeel is legitimately sticky and full. Just based on these tests, I'd probably start around 3% as an accent flavor, primarily for mouthfeel. I'd probably use this as a primary flavor around 6-7%. Uses & Pairings: Passable as single flavor red swedish fish flavor solo, probably with a bit of sweetener to try to fill out that flavor a bit. I threw a drop of FA Blackcurrant in my remaining 5% sample, and even as a shake and vape its seeming to fill this out a bit more, so that's promising. At lower percentages, this is probably going to be a pretty decent candy texturizer. Flavor is pretty weak down there, but I'm still getting some solid texture without much that tastes chemical or weird. If that little bit of red isn't going to clash with your profile, this will probably end up working a lot better than FW Gummy Candy or CAP Jelly Candy as a texturizer. I'll be doing 27 Bears tomorrow, so I'll have a better grasp on how it compares. TPA Red Licorice is already pretty thick, but this could make it even thicker and chewier. Should also work really well with some added strawberry or non-floral raspberry. Second Opinions: Still fairly new. Shoutout to ceedee99uk for linking reviews from PeegoreVapes in another thread. There's a review up from "S.R.B." on the Nicotine River website: "I can not recall ever having eaten Swedish Fish, so I can not accurately say if it's on point with how actual candy tastes. As for this flavor, it's very delicious just by itself. I mixed it in 70vg 30pg at 6%. If doing max vg, I'd go a little higher, but not by much. Perhaps a percentage point or two." Never trust anyone who hasn't had swedish fish. Here's the product page from Capella. Their description: "Catch this red-licorice aroma, jelly raspberry treat. 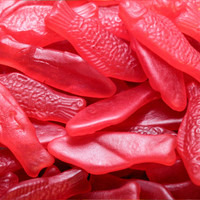 A smooth, sweet, chewy sensation, reminiscent of your favorite fish candy that is sure to compliment your next recipe." CAP 27 Bears - Been really enjoying this flavor in different gummy flavors. Brings a bright gummy that isn't plastic tasting like some gummy flavors I've tried. Believe it tastes fully authentic. CAP 27 Fish - Bringing more gummy to the table while bolstering the red flavor of the juice. Also another gummy I think tastes completely realistic to the title. 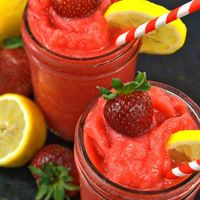 RF Strawberry - Is the power house of the two strawberries used in the recipe. brings a jammy/candy strawberry flavor. CAP Sweet Strawberry - Rounds out the strawberry jam/candy portion of the recipe. CAP Super Sweet - Felt it was needed to hype the flavors and bring on the brightness needed to do the original juice justice. Tried CAP SS all the way up to 3%, didn't add anything special that I was looking for, so just used to bring out the strawberry candy and hype the gummy. Preferred Shake and Vape. Tested in the Falcon Mesh Tank. I created this recipe for the Flavor Pro Fantasy Food special. 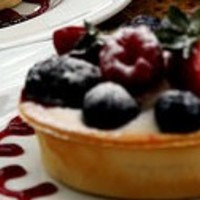 My Raven Berry Tart was inspired by the cooking profession in World of Warcraft. These lovely little tarts are trained in the Battle for Azeroth expansion and call for Wild Flour, Choral Honey, Aromatic Fish Oil and Wild Berries to craft them. 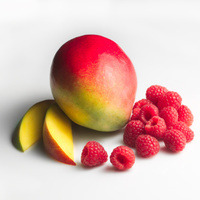 The list of flavors is lengthy because I did not want a recognizable berry profile, instead I wanted them to morph into a new imaginary berry flavor. I feel that I pulled that off fairly well. I was not sure what to do about the Aromatic Fish Oil aspect until Dmilin had the brilliant idea to throw in some CAP-27 Fish which also paired nicely with the berries and gave them a slight syrup texture. Next I needed to find a way to add in the Choral Honey, so I opted for the VT-Honeycomb which had the added bonus of accenting the JF-Biscuit and the INW-Custard at the same time. The FW-Wild Berry Cobbler ala Mode combined with JF-Biscuit make a nice cookie base for the berries to sit in and the INW-Custard is the creamy filling that binds them. For copyright reasons I decided not to use the actual thumbnail image from the game. This photo is extremely close though. Optional Ingredients: I added 0.4% FW-Sweetener to mine. The CAP-27 Fish and VT-Honeycomb can be omitted if you are missing them and have very little impact on the recipe. Inspired by waynes sweedish fish recipe, trying to highlight CAP 27 fish. This is just me trying to take a recipe and turn it to something I can enjoy since I tend to have a hard time tasting things. 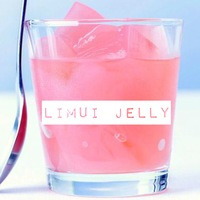 Tried to give it a bit more gummy body and push forward the top notes. if youre like me and can taste 1/18th of a drop of blackcurrant then youll want to give this a day or two for that top note of it to fade away a bit and let the main things take over. let me know what you think. PS...this seems to work better at lower wattages. When I used it in a series setup it was pretty muddled and just like sweet heat. But when I use it in my entheon around 42.5 watts its so much better and you can actually get more body and not just a muddled flavor. I assume its because of the EM content in some of the flavors. Once the power is high enough to volatilize it then it just doesn't work well. Rookie mistake yes but I still love this recipe. This is a jelly candy celebrating the unique flavour that is Li Hing Mui. WTF is Li Hing Mui I hear you ask? Well, wiki tells us "Li Hing Mui is salty dried plum. In most parts of China it is called Huamei. It has a strong, distinctive flavor, and is often said to be an acquired taste, as it has a combination of sweet, sour, and salty taste. It has also been described as tart, and even tangy." What it is, is delicious though - it is unlike anything you have ever tasted and once you taste it, you will be hooked!! This juice turns a magnificent pink colour when mixed and makes it stand out from your stash - almost screaming to be noticed! I added a touch of FLV Watermelon to provide a bit of familiarity and boost the juiciness just a tad. FLV can be subbed with PUR or FA Red touch at the same %. The 27 Fish and Jelly candy provides the jelly body (duh!) and sweetness needed to restrain the punchy flavors provided by our main protagonist. This combination provides just the right amount of gummyness and works beautifully in unison. The Vanilla swirl was added thanks to the idea by Wayne and adds that additional chew/fluff and slight vanilla flavour, which combined, takes this to the next level!! Give this one 3 days to fully settle but it is good after an overnight sleep. 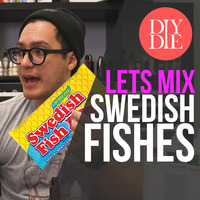 Made for "Let's Mix: Swedish Fishes"
Raspberry jelly with custard, perfect after dinner treat. Cap 27 Fish for the jelly note, bring sweetness and a slight tartness. The Hype Juice you crave. Adjust Sweetener to tastes.